Take on the role of Lieutenant James Patterson. You are the Allied force's most reliable military special agent. From storming the front lines of Normandy Beach as an infantryman to becoming an elite intel officer. You take on the role of Lieutenant James Patterson, the star of the 'Medal of Honor' series. As Patterson, you are the Allied force's most reliable military special agent. From storming the front lines of Normandy Beach as an infantryman to becoming an elite intel officer, Patterson goes through it all in this game. He will: Storm Normandy, take down a U-boat factory, liberate oppressed citizens from abusive Nazi soldiers, capture the Nimegjan Bridge, track notorious Nazi leader Randolph Stermgiest, and much more. Patterson participates in both solo missions and wartime sequences in order to fulfill the destruction of the Nazi war machine. I never get tired of playing this game over and over again. Yeah, it's been five years since this one was released and others have come after it with better graphics and more realism, but this one never seems to get old. I don't know what it is...whether it's just simply hearing the angry cries in German of the Nazi officers scrambling around trying to eliminate you, an intruder, an Allied spy...or if it's just simply the idea of eliminating Nazis that keeps me going with this one. The plot is very good as well. The best first-person shooter games I've played are the Doom games and they (except for Doom 3) have no plots whatsoever; so, the plot is very good for a first-person shooter game. The musical score is excellent...some of the best music I've heard in a video game...it's like I'm watching Indiana Jones and the Last Crusade only it's interactive. Yeah, I admit, I use cheat codes...but that's after I've beaten it without use of such features. This is one of the best video games I've ever played...end of story. This was the title that made me go out and get a PS2, and it has paid off. The game is a gripping, sometimes frightening ride through several scenarios of WWII. It is a marked improvement in every way from the PS1 installments. Those who have played the 1st two games will see some familiar sequences. The submarine pen mission from MOH I was, in many ways, copied over and updated. Still, the enhanced rendering of characters, weapons and environments more than makes up for the overall familiar feel of the level. The 1st(D-day) 3rd and 4th "campaigns" are simply stunning, and I'm still playing!. Your "squad" members, more than any other video game, are interactive elements in the action, taking initiative and often leading the way. I thought the design of the campaigns were much more in line with what a high level operative might be asked to do (aside from the massive kill ratio). For instance, sabotaging a bridge or rescuing a captured operative are much more realistic than say, the single handed destruction of the Nazi atomic program such as in MOH 1 and 2. Dont get me wrong, the action is still fast and furious, and the more numerous enemies in Frontline will keep you on your toes, even on the easy level. An interesting point, the weapons have become less accurate in this installment (the barrels rise sharply on weapons with full auto), and reload time has actually increased. I thought this added to the realism of the game rather than detracted from it. the sound effects are better than ever, and I suggest, for a few levels at least, turning off the music (which is very good) to get the full range of sound effects. 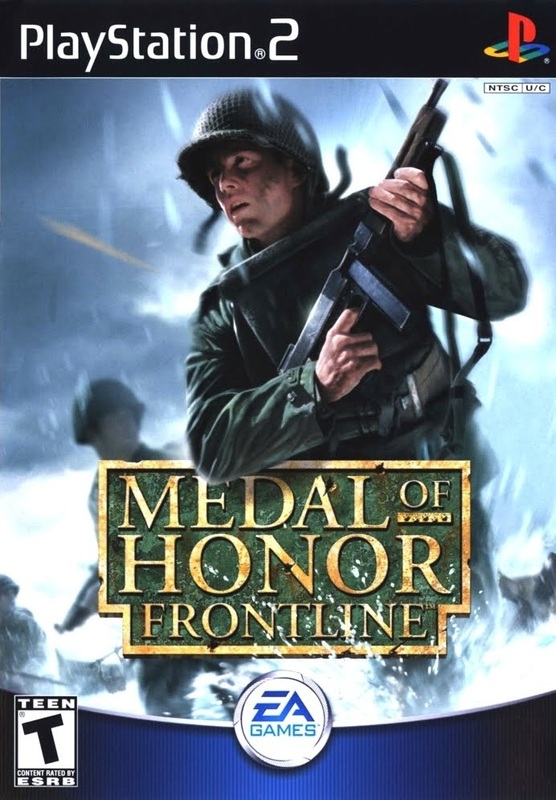 I highly recommend MOH Frontline, any fan of first person games cannot miss this one.